Barrie Frost at the research site. An international team of researchers that includes Barrie Frost is hoping to unravel the mystery of how bogong moths navigate during their annual migration to and from caves in the Snowy Mountains of southeastern Australia. Millions of these night-flying moths, which are crucial to the survival of nearly every species in the Snowy Mountains, live in these caves during the summer months to escape the heat. Dr. Frost, director of the Visual and Auditory Neuroscience Lab at Queen's, had previously created a flight simulator to help study the navigation of monarch butterflies. The data generated during that study indicated that monarch butterflies use an internal time compensated sun compass to migrate. The flight simulator device has been adapted for use in the bogong moth study. "The bogong is an iconic moth. It's been used by the Aboriginals for feasts for centuries. We needed to learn more about it," he says. "The question is how can the moth hatch as an adult and immediately fly south 2,000 kilometres to the Snowy Mountains having never been there before and having no one to show them." For this project, Dr. 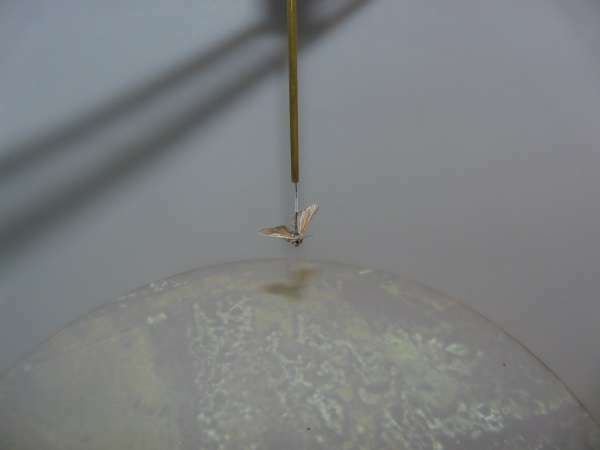 Frost created an upgraded, computerized flight simulator specifically designed for moths. 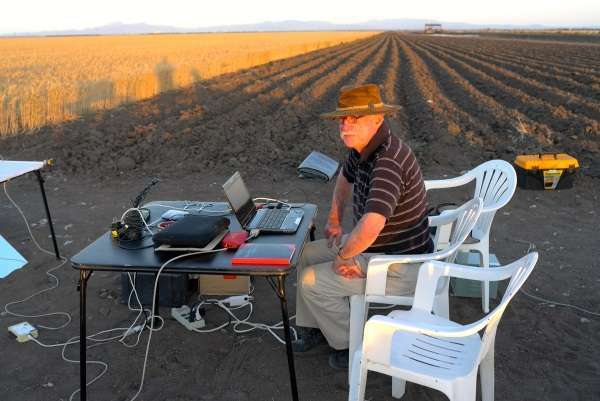 He used Google Earth to create an accurate moving image of the ground the moths are flying over. When the moth is flying in the simulator the ground is programmed to always move backward, no matter what direction they choose, which encourages them to keep flying. The scientists collected the moths by setting up an enormous spotlight to attract them. When they landed, Dr. Frost and his co-researchers gathered up all the moths. They glued a small sensor to their back called a stalk, wired the stalk to a computer and then suspended them in the flight simulator using wires with air blowing to keep them aloft. The computer tracked their direction of travel. A bogong moth in the flight simulator. The team is also using six large electronic coils to alter the magnetic field, and a computer generated planetarium to alter the orientation of the stars that can be projected on a screen above the moths. This will allow them to determine experimentally if the moths are using the stars and/or the earth's magnetic fields to find their way. "Preliminary evidence suggests the moths may be using the earth's magnetic fields to find their way to the caves where they wait out the heat of the summer," says Dr. Frost. "We will continue our research and hopefully have solid data after the spring migration is finished."